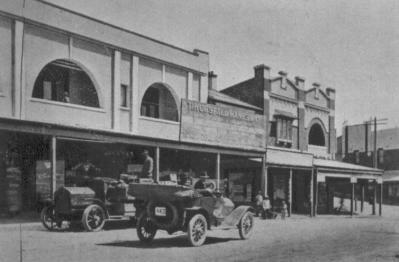 After the success and Artarmon residents' interest in the Amazing Stories project the Artarmon Progress Association undertook for heritage week this year (see last Artarmon Gazette), the association has decided to sponsor a website to bring together a history of Artarmon since the area's settlement. This project is regarded as a long-term project and the website will be expanded progressively as information is received and verified. For the purpose of the website development, Artarmon will be separated into four main areas - the industrial area south of the Gore Hill Freeway; Artarmon village; Artarmon's residential area west of the railway line, to the Pacific Highway; and Artarmon's residential area east of the railway line, to Willoughby and Mowbray roads to the north. The website will include a history of land use since the area's first land grants, in the very early part of the 1800s. As part of the research, and to provide some indication of the life during the settlement/development of the Artarmon area, the association would like to collect photographs of Artarmon's past social events, such as functions held in the old Masonic Hall; the School of Arts/Drill Hall; the jubilee celebrations; the scout and girl guide halls; the churches; and associated programs, posters and invitations, etc. Photographs of homes, streets and people dating back over time would also be appreciated. If you are renovating or moving house and find any old newspapers, documents, old publications and books you think may be of benefit to the history team, please contact us. We would also like to hear from any residents who have any historical information that may help us complete this project. The association will scan any photographs or documentation, such as old newspapers, school magazines covers, posters, event programs, local organisation newsletters, business cards, home movies/videos, books on the north shore's early days, particularly in the Willoughby City Council local government area and return the original documents to their owners. recording oral histories from people who have lived in Artarmon, have worked in or had some connection with Artarmon's past and present. If you are interested in assisting with research, in providing information, such as photographs, documentation and other material relevant to the Artarmon's History, or can suggest people who may be willing to provide us with oral histories of Artarmon, please contact the association: PO Box 540, Artarmon 1570; email the APA at history@artarmonprogress.org.au; telephone: 9419 3916; or call Adrian on: 0401 644 052.